If you haven’t yet received your notification from Autodesk you may not be aware that it is the new release time of year. We reached a numeric milestone on the 27th March when AutoCAD 2020 was released along with 3ds Max 2020, Autodesk Inventor 2020 and Autodesk Vault 2020. Over the next few weeks we will be introducing you to the new features of each core Autodesk product through Cadline Community. We have been testing the preview versions and there is some good stuff coming. Even AutoCAD, which many feel must has reached the pinnacle of its development, has some powerful new productivity enhancing functionality. If you have subscribed to AutoCAD recently you will probably be using a version which includes the specialized toolsets. Last year Autodesk made the brave, but inspired, decision to discontinue selling seven of its individual, industry optimised products based on AutoCAD and include all the functionality into one package. The decision was brave because it signalled a significant shift in the way that technology and functionality is packaged and inspired because it solved some of the workflow challenges we encounter from time to time. Our customers have found that they really can design anything using Autodesk technology, but not necessarily in one single product. I have been working with several customers recently who work across industry sectors and don’t fall neatly into our definitions for design activity. Often in these circumstances we work alongside these customers to develop workflows that use multiple products to develop project data. A great example is one of our customers who is a manufacturer of combined heat and power solutions that deliver greener energy to new and existing buildings. They are precision engineers who design and fabricate complex equipment which integrates mechanical, electrical and electronic components into large assemblies which are then fitted into often large and complex building projects. They have found that the AutoCAD Specialized Toolsets are perfect for the design work they deliver. The Plant 3D Toolset allows them to design the process equipment using an industry standard, specification driven approach to then output schematic P&ID documentation. The Mechanical and Electrical Toolsets are used to produce fabrication detail drawings, bill of materials as well as assembly drawings of their innovative and highly efficient power plants. Finally, the Architectural and MEP toolsets are used to design the space housing the process equipment and the mechanical building services that take the energy from the plant room and supply it to the building. All of this very specialised work is delivered using a single version of AutoCAD and a common file format. 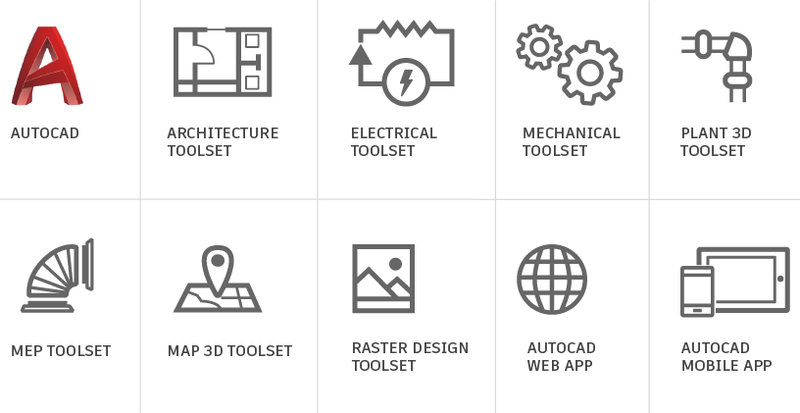 With the new version of AutoCAD 2020 including specialized toolsets, all this functionality is updated and is available at the same time. Download the latest version of AutoCAD now and start using some of the new toolsets in your workflow.